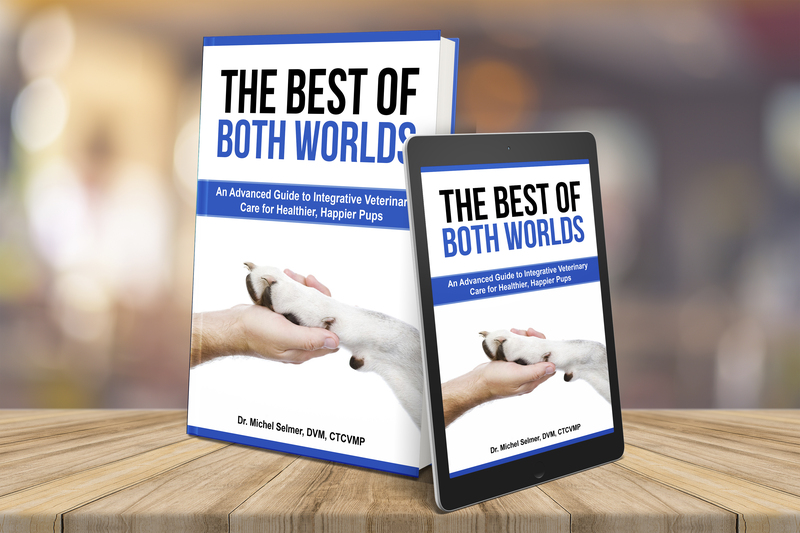 Now that the print version is also available, more and more pet parents are using this book as a well-worn guide to managing their dog’s health with a more holistic, integrative approach. Designed to be the definitive guide to truly holistic health for dogs of all ages, this book equips dog owners with the knowledge they need to navigate any health challenge their dog may face. Highlighting the strengths of standard veterinary care and alternative medicine therapies such as acupuncture, food therapy and herbal remedies, Dr. Selmer’s first book offers pup parents the best of both worlds. Dr. Selmer, based in Long Island, New York writes with the warmth, compassion and humor he brings to each of his patients and virtual clients, earning him a national reputation as The Caring Vet. Detailed information regarding vaccinations, spaying and neutering decisions and other health considerations. With this field guide and crash course in Traditional Chinese Veterinary Medicine, pet parents will be able to better navigate all of the veterinary options available to them, and communicate more effectively with their local vet. You’ll have the latest information on every aspect of your dog’s medical care when you need it. This book is designed to be a well worn, hands-on reference guide pet parents will keep handy and refer to often.